We don’t know about you guys but it’s colourway release that we’ve been waiting for. 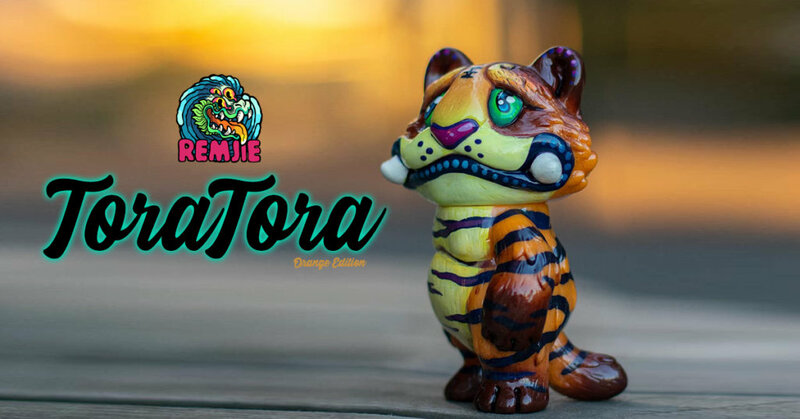 Remjie Malham released her ToraTora last year we have seen mini fully painted versions in small batches but today Remjie has unleashed Orange ToraTora and available now. All hand blessed by Remjie featuring Sofvi paint, acrylics, urethane varnish with holo pigment. USD 180 plus 20 for international shipping.